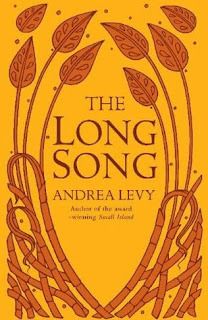 Andrea Levy's The Long Song is a surprisingly snappy read, given that it deals with fairly weighty topics. The Long Song is a story of Jamaica at the end of the slavery era, and in the immediate aftermath of the British government's decision to free the slaves on the Carribean island. A couple of years ago I read & enjoyed Levy's previous novel, Small Island, which also dealt with the relationship between Britain and its former colony, albeit at a later point in that history. So I was looking forward to The Long Song, but was still pleasantly surprised by how entertaining and interesting it was. Partly that's because I'm a bit of a sucker for post-colonial novels, but mostly it was due to Levy finding both an interesting (& under-fictionalised) time & place for her story, and a memorable set of characters. I seem to be spending a fair bit of time in these reviews discussing narration, but the question is one of the core ones to the success of a novel, and it's one of the best elements of The Long Song. Our story is introduced by Thomas Kinsman, who tells us that his mother has a story to tell, & she agrees to tell it because he promises to make it into a book when she's finished. For the rest of the book, she tells us the life of July, a slave born into a sugar plantation, plucked from her mother at a young age and assigned to serve the lady of the house (the owner's widowed sister). From this perspective, our narrator (whose actually identity is not confirmed until more than 100 pages in) focuses on the events leading up to the freeing of Jamaican slaves, and the violence which followed. July becomes more entangled in the family's affairs, and Levy also makes the point that the difference between slavery & freedom is not always as great as we might hope - the Jamaican former slaves didn't all suddenly become happy & prosperous just because they were no longer slaves. Exploitation can adapt itself to new circumstances, as history has reminded us on many occasions. Yet despite the oft-grim events & themes of The Long Song, our narrator's voice (she reminds us of her presence every few chapters, emphasising that this is her version of this story and that different versions exist) carries the book along at a constant clip. This novel has several virtues, but Levy's deft handling of the narrative voice is chief amongst those. The Long Song is another book I'm hoping will reach the Booker shortlist, and I think it's probably a strong contender for that, and perhaps even to win. Next time: The Room, by Emma Donoghue. I enjoyed this one too and hope it makes the short list!